A great friend of Canadian veterans of the Dieppe Raid (August 19, 1942) has passed on April 19, 2018, at the age of 103 years and 9 months at the Thibermont Monastery in Martin-Eglise on the outskirts of Dieppe, France. Sister Agnès-Marie Valois was a nursing sister at the Hotel-Dieu in Rouen on August 19, 1942, when an Allied invasion force, made up predominantly of Canadians, landed at Dieppe and the neighbouring villages of Puys and Pourville. The raid was a disaster. 913 Canadians were killed with another 1,800 men wounded and/or captured. The wounded were treated at the Hotel-Dieu in Rouen, south of Dieppe, by Sister Agnès-Marie and other medical staff. She immediately bonded to the Canadians and defied German orders to treat German soldiers first. She became known as “the Angel of Dieppe”. Sister Agnès-Marie specialized in anesthesiology at the hospital. 3 Canadians, all 18 years-old, died on the operating table. She refused to allow the Germans to take the bodies away for burial, insisting that they be buried on the hospital grounds. One of the Canadian soldiers did not like the picture of Adolf Hitler hanging above his bed and asked Sister Agnès-Marie to get rid of it. During the night she disposed of the picture, smashing the glass and burning the picture and frame. Another Canadian soldier, Ed Bennett of the Calgary Tanks, had been temporarily blinded by an explosion when a shell hit his tank. 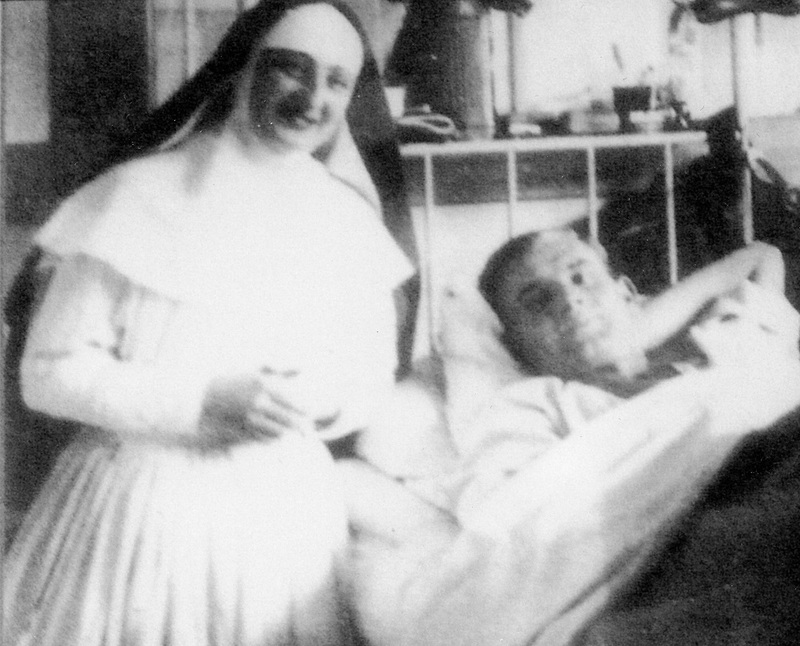 Many years later at a commemoration of the Dieppe Raid, he recognized the voice of Sister Agnès-Marie as one of the nurses who had tended to his wounds in 1942. They struck up a friendship until Bennett died. In the years following the war, as Canadians made their way back to visit the Dieppe battlefield, they reunited with Sister Agnès-Marie. She became an honorary member of several of their regiments and made trips to Canada to attend their reunions. During one of these trips, she was given the Meritorious Service Award. She received many honors from her own country, including “Chevalier of the Legion of Honour” in 1996, which was upgraded to “Officer of the Legion of Honour” in 2009. Sister Agnès-Marie Valois was born on June 30, 1914, in Rouen, France. She was baptized on August 3, 1914, the same day that war broke out between France and Germany. She entered the Hotel-Dieu de Rouen convent of the Canonesses of St. Augustine of the Mercy of Jesus in 1936, taking a temporary vow to become a nun in 1938 and a permanent solemn vow in 1941. In 1968, when the Hotel-Dieu Hospital closed, Sister Agnès-Marie went to live in the convent, the Sainte-Marie de Thibermont in Martin-Eglise. This was the same convent from which nursing sisters left for New France (now the Province of Quebec, Canada) in 1636. Her career as a nursing sister spanned 63 years. 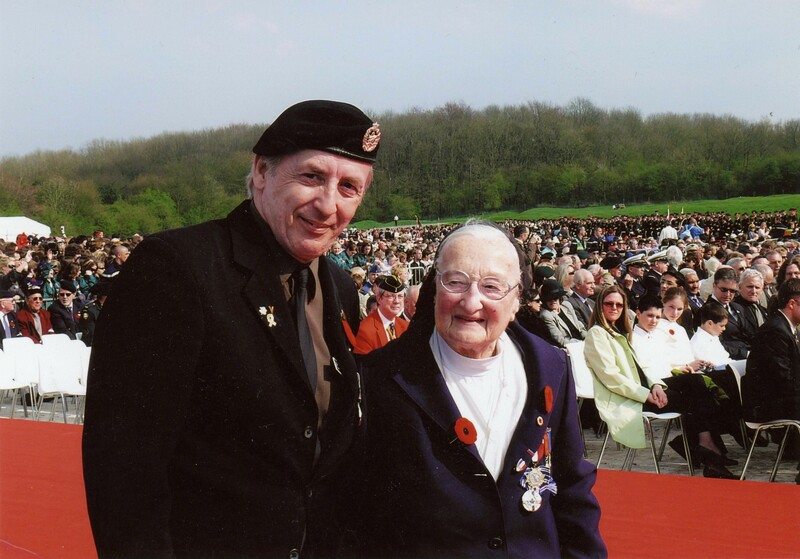 Our group of Special Travel International travellers, with the exception of one man, Herman Keys, first met Sister Agnès-Marie in April 1995 during our first military pilgrimage to commemorate the 50th Anniversary of the Liberation of the Netherlands. 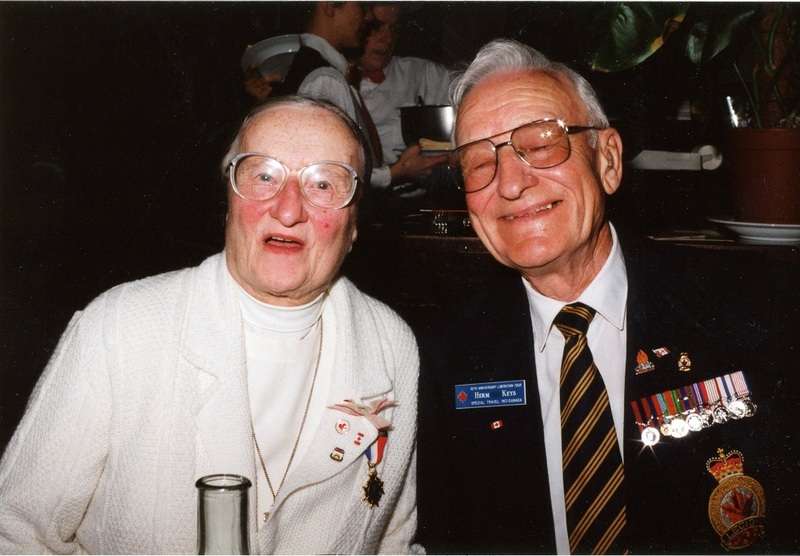 Herman Keys had met her 53 years earlier when she nursed the wounded member of the South Saskatchewan Regiment at the Hotel-Dieu Hospital in Rouen. Our group had invited Sister Agnès-Marie to dine with us at one of our hotels and also visited with her the following day at the Dieppe City Hall. For the next almost 20 years, we visited her when we stayed in Dieppe on Normandy-Vimy Ridge tours. We would invite her for dinner at our hotel until 2009. When she became too frail to join us at our hotel, we would visit her at Thibermont, bringing one or two coaches to the monastery where we would meet with Sister Agnès-Marie in the reception hall and have a very enjoyable visit. We were unable to see her during our most recent “Vimy 100” Trip since it was not possible for so many Canadian travellers to visit at one time with her, who, although very mentally alert, was in addition to her frail condition, almost totally blind. What I remember the most about Sister Agnès-Marie: her laughter as she greeted and had her photo taken with each Canadian visitor, and her response when asked in 2004 if she would treat German soldiers: “I have no enemies”. Rest in peace, Sister Agnès-Marie. 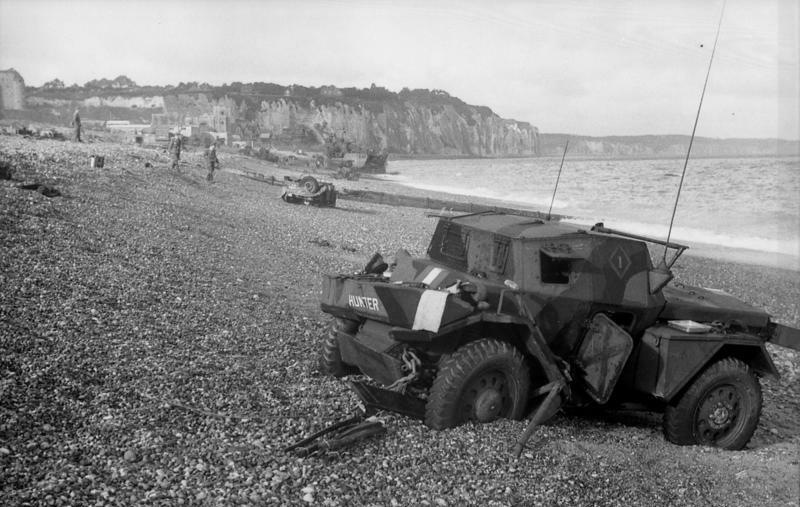 Discover Dieppe on one of Special Travel International’s 2019 Normandy tours commemorating the 75th Anniversary of D-Day and the WWI battlefields of Northwest Europe.